We had a lovely stay here. Clean and comfortable. Staff very helpful. In a lovely quiet setting. Where to find Ullapool hotels near an airport? Where can I find hotels in Ullapool that are near tourist attractions? Travelers to Scottish Highlands will find just 1 hotel option that are less than 0.1 kilometres (0.06 miles) from Ullapool's center, so look into booking your room as soon as possible. The closest Expedia-listed hotel is the Inver Lodge, Scotland, which is located 18 kilometres (11 miles) from downtown Ullapool. 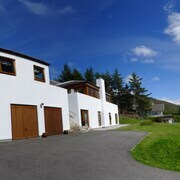 Another nearby option is the Torran B&B, which is in Scotland, which is 14 kilometres (9 miles) from Ullapool. 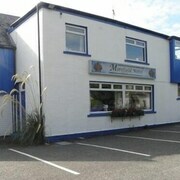 The Morefield Motel is positioned 10 kilometres (6 miles) from the heart of Ullapool. Another option is the Caledonian Hotel, which is located 11 kilometres (7 miles) away. Two more Expedia-listed accommodation options include the Altnacealgach Motel and the Creagan Guest House. Inverness is 80 kilometres (50 miles) to the southeast of Ullapool and is home to the Culloden Battlefield and Inverness Castle. 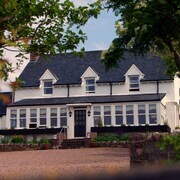 Inverness hotels include the Rocpool Reserve Hotel & Chez Roux Restaurant and The Glen Mhor Apartments. 90 kilometres (56 miles) to the southeast of Ullapool, you can also stay at Nairn, home to the Golf View Hotel & Spa and The Newton Hotel. The Nairn Golf Club and Nairn Beach are some of the most popular sites to experience when visiting Nairn. Consider spending a few hours rubbing shoulders and cheering along with Scottish Highlands sports obsessives at a local sporting fixture. Caledonian Stadium is 80 kilometres (49 miles) to the southeast of Ullapool. Stay near the action at the Kingsmills Hotel Inverness or the Glenmoriston Townhouse Hotel. 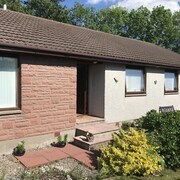 Thank you for checking out our Ullapool accommodation page. Now, do yourself a favour and spend a little time exploring our Ullapool travel guide for the inside scoop on this place's things to see and do. What are the most popular Ullapool hotels? 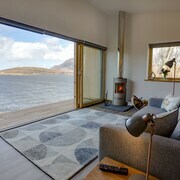 Are there hotels in other cities near Ullapool? What other types of accommodations are available in Ullapool? Explore Ullapool with Expedia.ca’s Travel Guides to find the best flights, cars, holiday packages and more!